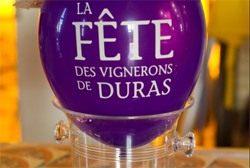 Visit the pretty market town of Duras with its Monday morning market and good restaurants and bars. 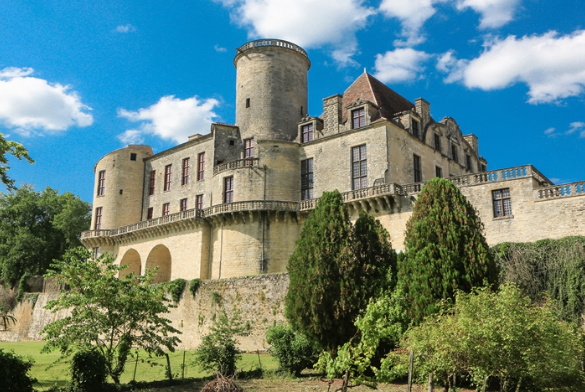 The imposing castle, The Chateau de Duras, once the stronghold of the Dukes of Duras, houses a fascinating museum. 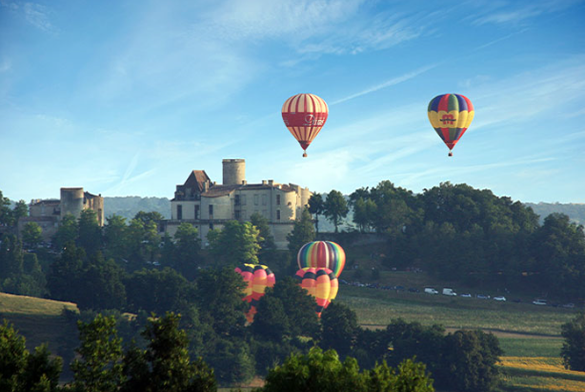 Visit the annual wine festival in Early August and see the spectacular Montgolfier balloons take flight and other interesting events and exhibitions. 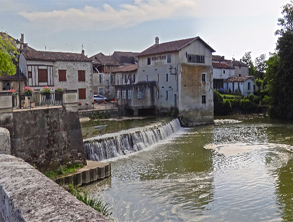 Not far along Dropt river from Eymet in the north west of the Lot-et-Garonne is La Sauvetat-du-Dropt, a small village which preserves many architectural elements of its past and which was once the seat of a monastery. 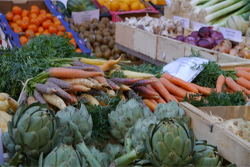 La Sauvetat derives its name from the Latin "salvitatem" which means action to save, salvation, or rescue. It was the name given to all the towns of refuge which enjoyed a guarantee of non-aggression granted by the local lord. 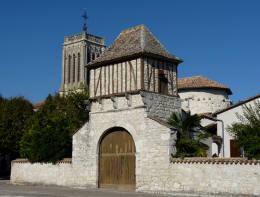 La Sauvetat was under the sovereignty of the Priory Abbots who were its lords, and who, because of the perpetual state of violence, surrounded it with strong walls. 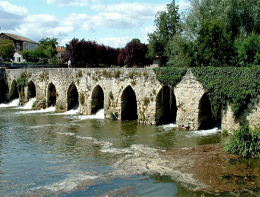 Towards the end of the eleventh century, under feudalism and during the establishment of the Great Fiefs, it was part of the domain of the lords of Caumont. Nompar de Caumont, first of the name, was its suzerain (Sovereign) in 1211. 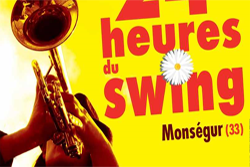 In 1211 it was called La Sauvetat-de-Caumont. 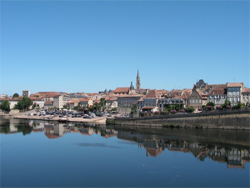 In 1789, it took the name of Sauvetat-du-Drot, then finally in 1910 its current name of La Sauvetat-du-Dropt. 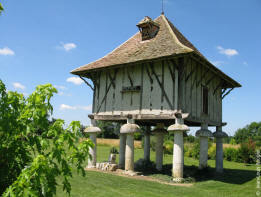 La Sauvetat saw the birth of Jean Claude, son of the pastor of the Reformed Church of La Sauvetat, who became a pastor in 1645. He was a disciple of Calvin and was perceived as one of the greatest men of his time because of its theological authority. Constrained to exile following the revocation of the Edict of Nantes (1685), he found refuge at The Hague in the Court of the Prince of Orange where he died on January 13, 1687, at the age of 68. The commune also saw the birth of the General, Jacques Delmas de Grammont (1796-1862), who in 1850 passed the first law punishing the maltreatments towards domestic animals. 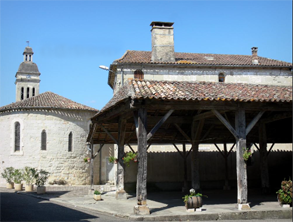 Further downstream in Allemans sur Dropt, visit the 12th century church with its frescos. This Romanesque church is noteworthy for its fantastic group of 15th and 16th century frescos. 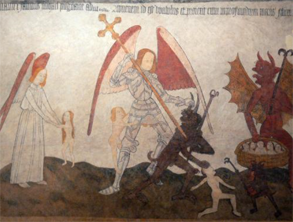 Listed as a historic monument, they depict scenes from the Passion of Christ, the Last Judgement and Hell. 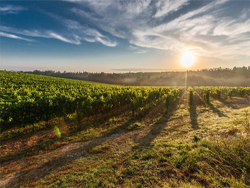 While you are there, make a point of exploring the surrounding half-timbered houses, two covered markets, castle tower, 12th century bridge over the Dropt and 17th century dovecote on stilts located at the end of the village. 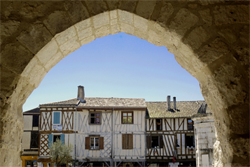 The 13th century bastide town of Eymet is close by in the neighbouring Dordogne. 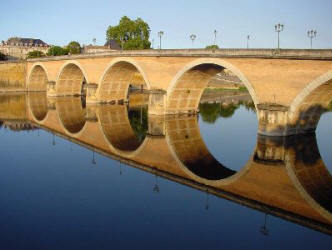 Bastides were fortified towns usually built by kings in areas where their rule was under threat. 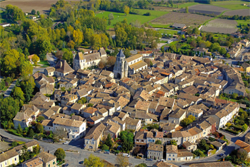 The towns were built in a grid system with arcaded square and fortified church. 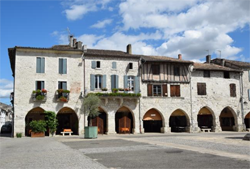 Eymet has some wonderful restaurants and a bustling Thursday market. The night markets held in July and August are very popular and have a great atmosphere. 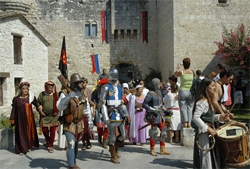 Also look out for the medieval festivals in August. 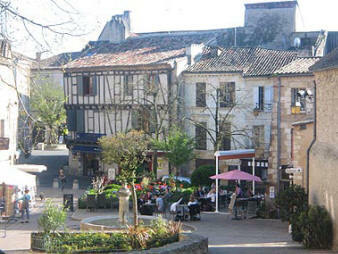 Bergerac, about 35 minutes away, has a medieval centre, flowery plazas and covered market. 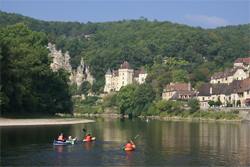 Visit Bergerac old town and take a boat ride along the Dordogne river, or take a canoe to go at your own pace. 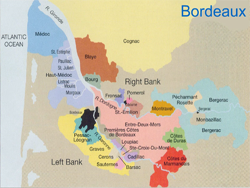 And of course the famous Bordeaux and Bergerac wines are not to be missed. 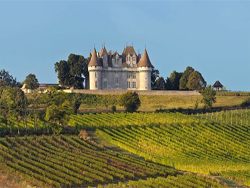 Nearby, you can also tour the world-renowned château and vineyards at Château Monbazillac.